Summary Recommendations: Warfarin is a blood thinner that is NOT to be used during pregnancy. There are proven birth defects associated with use of this drug during pregnancy. 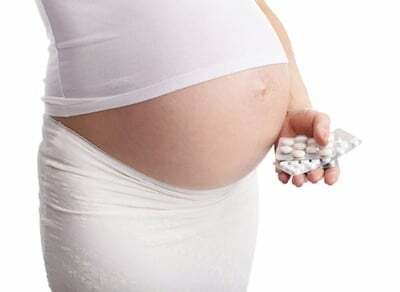 Other medications such as heparins and LMW heparins are considered safer for use during pregnancy. General Precautions: Blood thinners are prescribed for clotting conditions that could be life-threatening, in some cases. It is extremely important to take warfarin as prescribed even if you find out you’re pregnant. The drug is associated with birth defects and will be changed when you become pregnant. It is best to prevent pregnancy with birth control while taking the medication. Talk with your doctor about your desire to get pregnant before attempting pregnancy. The doctor will change your blood thinner to one proven safe for use in pregnancy. same high birth defect percentage. Effect While Trying to Conceive: There does not appear to be any indication of reduced fertility associated with warfarin. Effects on Pregnancy: Warfarin causes birth defects, including spontaneous abortion. If you are taking warfarin and you find out you’re pregnant go to the doctor’s office immediately for an emergency appointment. You WILL need to change your blood thinner, but you cannot do that without a new prescription and instruction from your doctor. You should NEVER stop taking a blood thinner on your own. The condition for which the blood thinner is prescribed could cause imminent harm to you. Safe During Breastfeeding: There is no indication that warfarin passes into breast milk, but you may want to talk with your pediatrician and prescribing physician about warfarin and breastfeeding. There have been reports of prothrombin time changes in infants when the mother is taking warfarin.